We provide all information about about ladakh tourism, about ladakh climate, about ladakh festivals, about ladakh clothing, about ladakh food, about ladakh occupation, about ladakh weather, about ladakh culture, about ladakh with pictures etc. Tibetanisation of Ladakh began in the 7th and 8th centuries. 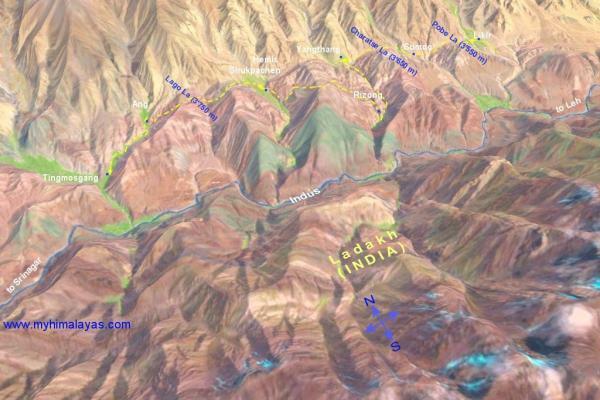 Still existent chronicles refer to the area of Ladakh as part of Tibet. Ladakh was also influenced by Kashmir, at the time a Buddhist region. Kashmiri artistic influence can still be seen in the wood carvings of the early monasteries at Lamayuru and Alchi, and early Kashmiri Buddhist bronze statues are found in several Ladakh monasteries.Lang Darma, becoming king. Although Lang Darma was anti-Buddhist, Buddhism had already gained a large following in Tibet. Lang Darma was himself assassinated in 842 by a Buddhist monk, but Buddhism subsequently declined as a state sponsored religion concurrently with the decline of a strong central monarchy in Tibet. With the decline of Tibet's central government, Ladakh became an independent kingdom under local rulers of whom little is known. Sikh rule was established over Jammu and Kashmir in the 18th century. A general in the Jammu army, Zorawar Singh, invaded Ladakh in what became known as the Dogra Invasion of 1834. Leh Palace was heavily damaged and the King of Ladakh retreated to Stok, where the family still lives (the most recent king was crowned in 1992). 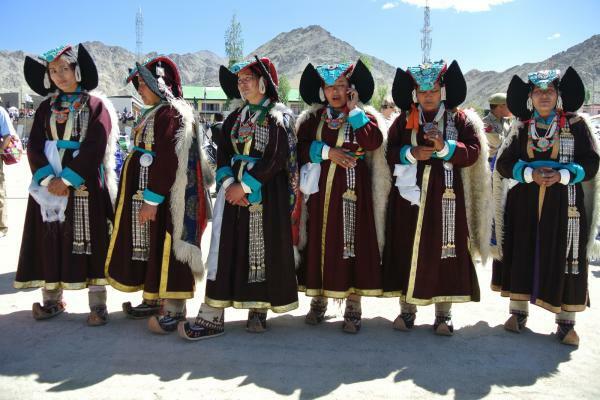 The people of ladakh are Tibetan-Mongoloid in appearance although traces of Kashmiri Moslem influence can also be seen. 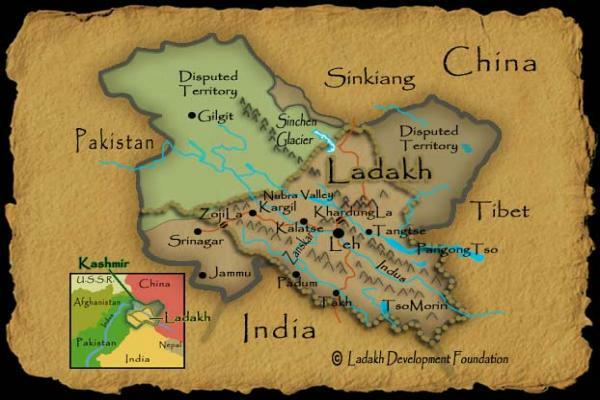 It is most likely that early in its history, Ladakh was settled by the Mon and Dard groups of people. Funerals of Ladakh is practice cremation of their dead except in a few instances such as children or persons who died of smallpox. After a ceremony in the home of the deceased, the corpse is carried to a type of walled oven where, with many prayers by attending lamas, it is cremated.